January Brings New Beginnings and Pruning! Hello, and happy New Year! Wow, what a year it has been! Here at Hutcheson Horticultural, we would like to officially welcome you to a brand new year, and congratulate you on making it through the last one. January brings new beginnings, as well as new challenges, but you cannot forget about your plants! Here are three things you should do for plants in January. Prune deciduous summer flowering shrubs: This is very helpful, as it will allow new growth in the Spring. With the unseasonably warm weather we have been having, your plant babies are probably very confused, but this will help officially prepare them for what is coming in a few months. Begin to cut back liriope: liriope is that low lying grass-like plant that is commonly referred to in the South as monkey grass or spider grass. It can be a great filler, but can also get a little bit wild if not properly trimmed. You have several options for cutting the liriope back including: mowing it, cutting it with hedge clippers, or trimming it with a weed eater. 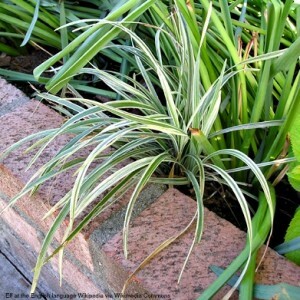 However you choose to prune your liriope, it will keep your yard looking manicured and well-kept through January. Begin cutting ornamental grasses: Much in the same vein as cutting back the liriope, cutting back ornamental grasses can keep your yard looking manicured and well-kept. While ornamental grass is supposed to be just that, if not properly taken care of, it can look wild and make your yard appear uncared for. Just like the liriope, you have mowing, trimming, and cutting options for your ornamental grasses. Happy New Year, and happy pruning!